Pre-sliced watermelon, honeydew and cantaloupe on a red paper plate. Stock image. "This outbreak is another example of fruit and vegetable producers not following basic safety precautions." nted melons have triggered salmonella lawsuits in the Midwest, where food safety lawyers are seeking to hold retail giant Walmart and others responsible for a multistate salmonella outbreak that has so far sickened 60 people — half of whom have been hospitalized. So far, lawsuits have been filed in Ohio, Missouri and Michigan — the hardest hit state so far with 32 people falling ill.
"What's at issue is the safety of our food," food safety attorney Jory Lange told the Free Press on Tuesday. "What happened in all of these cases is people went to a grocery store and bought pre-cut melon. It's supposed to be ready to eat. It turned out it was tainted." According to Lange, the hospitalization rate is unusually high in this latest outbreak, noting the typical hospitalization rate for salmonella is 20 percent; in this case it's 50 percent. What's especially alarming, he said, is that consumers can't tell if melon is contaminated with salmonella or not. "And that's why it's so important for the companies who manufacture and sell our food ensure that it's safe before they sell it to us," Lange said. "Our goal is to try to make the food supply safer ... Our concern is that there are hidden dangers in our food supply." Lange is representing three plaintiffs, including: Ashley Hollar, a 40-year-old Wayne County woman who got sick after buying Freshness Guaranteed-brand pre-cut watermelon chunks from a Walmart in Van Buren Township last month. She got sick on May 25 "when she awoke in the middle of the night with severe abdominal pain and diarrhea," the lawsuit states. "Later that day her abdominal pain was so severe that she sought medical attention. She was treated with antibiotics," the suit states. On May 29, her local health department informed her that she had salmonella. On June 5, she became sick again and was prescribed a second round of antibiotics. "She's recovering, but these are hard things," Lange said of Hollar. Lange also is representing a Missouri woman and her 3-year-old son, both of whom got sick after eating pre-cut cantaloupe from a Walmart in St. Louis. The mother fell ill with bloody diarrhea, chills, headache, vomiting and abdominal pain; her son had diarrhea and stomach pain, according to the suit filed late Monday in federal court in Missouri. A second lawsuit was filed Tuesday afternoon in federal court in Ohio, on behalf of a 73-year-old woman who ate fruit that was allegedly purchased from a Walmart store in Findlay, Ohio, in May. According to the law firm representing her, she was hospitalized and needed surgery to repair an aortic aneurysm in her abdomen that developed after the infection. She spent days in the hospital and is recovering in a nursing home. “Even when you recover from this serious infection, there is still a risk you will develop a health complication in the future such as reactive arthritis or endocarditis,” Ohio attorney Fred Pritzker, who filed the Ohio salmonella lawsuit, stated in a press release. “As this case illustrates, salmonella is a dangerous pathogen that causes extreme damage in certain people, particularly young children, elderly people and those with weakened immune systems. This outbreak is another example of fruit and vegetable producers not following basic safety precautions." The defendants in the lawsuits are Walmart Inc. and Cato Foods, an Indianapolis-based food manufacturer and distributor that sells pre-cut melons and melon mixes to many retail stores, including Walmart. Cato Foods voluntarily recalled all the affected fruit on the same the CDC announced an investigation into a salmonella outbreak. As of Tuesday evening, Walmart spokesman Randy Hargrove said the company had not yet seen any of the lawsuits, but stressed, "We are committed to providing our customers with safe, quality foods." "As soon as we were notified of the Caito Foods voluntary recall, we immediately began to identify the affected products and instructed our stores to pull them. We take this issue seriously and once we are served with the complaint we will respond appropriately with the courts," Hargrove said. Officials with Cato Foods were not readily available to comment on the lawsuits. At issue is a salmonella outbreak that's under investigation by the Centers for Disease Control, which announced the probe on June 8 after learning that 60 people across the Midwest were infected with salmonella after eating pre-cut fruit in five states. According to the lawsuit, Missouri has seen 10 cases; Michigan 32; Indiana 11; Illinois 6 and Ohio one. In its announcement, the CDC said that pre-cut melon supplied by Cato Foods is a likely source of the outbreak. 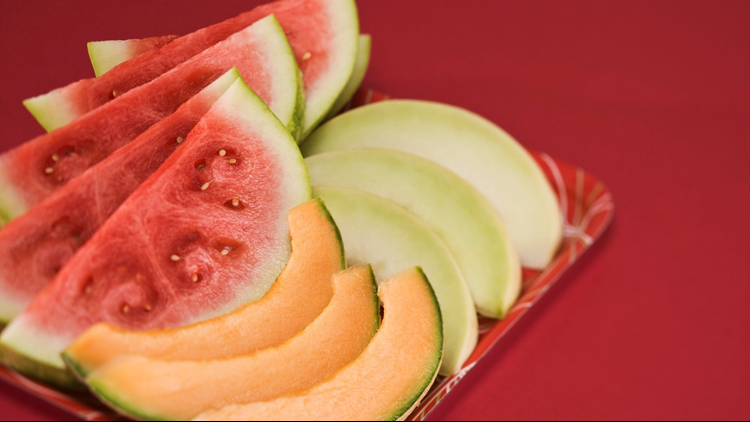 On the same day, Cato issued a recall of fresh cut watermelon, honey dew melon, cantaloupe and fresh-cut fruit medley products containing one of these melons produced at its Indianapolis facility. States affected by the recall are Michigan, Georgia, Illinois, Indiaina, Kentucky, Missouri, North Carolina and Ohio. The recalled products were sold in clear, plastic clamshell containers at Costco, Jay C, Kroger, Payless, Owen's, Sprouts, Trader Joe's, Walgreens, Walmart and Whole Foods/Amazon. According to the lawsuit filed in Missouri, the ill included babies and the elderly, ranging in ages from less than one years old to 97. On Thursday, Walmart and Kroger removed pre-cut melon linked to the outbreak from all the stores in the affected states, according to the CDS. The CDC has urged consumers to throw away pre-cut melons sold in the affected states. Only pre-cut melon is affected by the recall, the agency said, noting whole melon is still OK to eat. Salmonella is a type of bacteria that are typically transmitted to humans by food or water contaminated with feces. The infection process usually takes six to 72 hours for symptoms to appear. They include nausea, vomiting, diarrhea, fever, abdominal pain or cramping, headache, muscle pain, fatigue and dehydration. Symptoms are typically treated with anti-nausea or anti-diarrhea medications, though sometimes antibiotics are warranted. Severe cases may require IV fluids or hospitalization. Salmonella infections can be fatal. The CDC urges those who believe they may be infected to seek immediate help.